LJUBLJANA (Slovenia), October 26 (SeeNews) – Retail property rental and vacancy rates in Ljubljana are expected to remain stable in 2012 as the market braces for the launch of the large-scale Stozice shopping center, the director of specialist real estate advisory firm Slovenia Invest said. “There is very little vacant space in Ljubljana, with the exception of Stozice, which not all retailers are prepared to commit to, and few outlets have changed hands this year, so rents are stable. We are not expecting any big changes in 2012,” Jacqueline Stuart told SeeNews in an emailed interview. The anticipated launch of the 58,000 square meter (sq m) underground shopping centre at the Stozice sports complex will have an impact on retail in Ljubljana as it is a very large scheme for a city of 350,000 people, the expert said. Another major retail scheme expected to be delivered in 2012 in Slovenia is the 11,000 sq m Supernova mall in Nova Gorica. The developer, Austria’s M2 Gruppe, is planning a spring launch. “It is already 83% leased out and will bring some welcome quality retail space to the border town, and neighbouring Gorizia in Italy,” Stuart said. This year only one new scheme will come to market, Mercator Center Maribor, due to open in December. It will provide 18,200 sq m of new retail space in Slovenia’s second largest city, Maribor, anchored by local retailer Mercator’s own grocery outlet. The industrial real estate market is in its infancy in the tiny Alpine state and Slovenia Invest estimates that over 70% of space is owner occupied with no speculative developments. “There is talk of Slovenia becoming a logistics hub for the region. Transport corridors V and X intersect in Ljubljana, and the sea port of Koper is increasingly becoming the gateway to Central and Eastern Europe from the Far East and other markets, but we are yet to see significant demand from occupiers,” Stuart said. 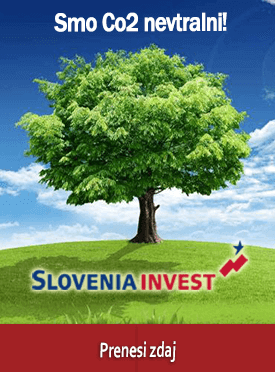 In her view, there are many investment opportunities in Slovenia, but they are generally offered to the market at too early a stage, without proper feasibility studies having been carried out. The expert anticipates little change in Ljubljana’s office supply in 2012 as all the pipeline projects are currently on hold.